Cannot make phone calls with your Apple iPhone SE handset? If so, then this content might be able to help you out. Read on to learn more. Making and receiving calls are probably among the important reasons as to why you get yourself to secure a smartphone. That’s why it is just typical for you to get react or be troubled with any issue affecting your phone’s calling function. Various forms of calling problems can occur on your mobile device. Among the most prevalent issues is on not being able to make or receive phone calls. Even the highest tiered smartphones can succumb into these problems. Apple’s special edition iPhone, otherwise known as the iPhone SE has also endured calling issues including those that are manifested by the “Call Failed!” error, in which the user is unable to make outgoing calls. And this problem is what this post is trying to address. If you come here for help in dealing with a similar issue on the same iPhone device, then I encourage you to read on and feel free to give any of the subsequent workarounds a try to fix the problem on your end. Why is your iPhone SE unable to make outgoing calls? Several factors can affect or interrupt the calling services on your iPhone SE. Majority of pertinent reported issues were tied to a network problem. No service, no network coverage, poor/weak signal strength are among the culprits. Some issues have been found caused by a bad SIM card while others were triggered by software glitches. There are also other cases where users are prevented to make outgoing calls due to account issues. Carriers or service providers usually imposed a temporary or soft disconnect to delinquent accounts or accounts with past due balances. When this happens, outgoing services like making phone calls or sending SMS/MMS will not be permitted or unavailable. In order to resume services, you will need to contact your carrier or service provider and settle any account issues beforehand. No need to troubleshoot in this case. However, if you are certain that the current status of your account is good and yet you still couldn’t make outgoing calls with your iPhone, then you should consider other possible causes. Something must have prevented your device to make outgoing calls and that is what you should try to determine beforehand. How to fix outgoing call issues on your iPhone SE? Highlighted below are recommended workarounds and potential solutions to a calling problem, in which your iPhone is unable to make outgoing calls or gets prompted with the “Call Failed” error. Note: Before you proceed to any of the following procedures, be sure to verify and ensure that your account is in good standing. You may need to contact your service provider for that matter. As mentioned earlier, some carriers may temporarily block outgoing services for certain accounts with past due or unpaid balances. Services will only resume once everything in your account has been settled. After verifying and confirming that everything is good with your account status and yet you’re still unable to make outgoing calls on your iPhone, then you may go ahead and try any of the following solutions. Step 1. Perform a soft reset. A soft reset is just another term of restart or reboot. It’s a widely used method to troubleshoot minor issues that are software-related. Sometimes, random software glitches can occur and thereby affects certain functions of a device. Like for example, there might be some minor software irregularities that has affected Phone app, which results to a call failed error every time you attempt to make an outgoing call. Should this be the case on your end, try to quit the Phone app and then perform a soft reset or simply restart your iPhone and retry calling the number. To perform a soft reset or reboot your iPhone SE, press and hold the Sleep/Wake button for at least 10 seconds until the red slider shows up. Slide to power off your iPhone completely. After 30 seconds, press the Sleep/Wake button again until the Apple logo appears. After the reboot, try to make a call again and see what happens. Step 2. Check for on-going network outages. Majority of calling issues including those that are depicted by the Call Failed error while attempting to make outgoing calls are caused by network problems including intermittent or unstable network connectivity, no service, as well as poor/weak signal strength. And any of these can happen due to network outages. Network outages can happen randomly or per schedule like when your network provider conducts regular system maintenance. Usually, service providers would notify their subscribers should there be any scheduled maintenance to be carried out on a certain date. However, there are also times when network outage happens unexpectedly, like when something in the network facility in an area gets damaged and therefore needs immediate fixing. You may contact your service provider to verify and check for any on-going service maintenance conducted in your area, which could have affected outgoing services and the main reason why you are unable to make any outgoing calls. Step 3. Check the SIM card and ensure that it’s not damaged. A bad SIM card can also be the culprit. Typically, you’ll be prompted with a relevant error message including “Invalid SIM card,” “SIM card undetected/unrecognized,” or any other SIM card errors. If this happens, you won’t be able to make or receive any calls or messages on your iPhone. Locate the SIM card tray on the right edge of your device. Use the SIM eject tool or a paperclip to unlock the SIM card tray. Carefully insert the SIM eject tool or paperclip into the SIM card slot until it pops out. Remove the SIM card and then check for any signs of damage. If there’s none, then insert it back into the SIM card tray. Be sure to have the gold contacts faced down. Press in on the SIM card tray to insert and lock it into place. Once the SIM card is re-inserted and secured in place, turn your iPhone back on and then try to perform a test call to see if it’s already working this time. Step 4. Verify or configure network settings on your iPhone SE. If you are unable to make outgoing calls after making some changes to your iPhone settings, then most likely the problem is triggered by the recent changes you’ve made. In this case, you can try to revert the changes or reconfigure the settings back to its previous configuration. However, if you are not certain which settings or menu options have been changed, then you may opt to try resetting network settings on your iPhone SE instead. Resetting network settings can also be a potential solution especially if the problem is network-related. Please note though that this process will erase your current network settings including Wi-Fi passwords, preferred networks, as well as VPN settings. That being said, be sure to back up this information before you proceed with the network settings reset. Toggling Airplane Mode switch on or off is also an option that’s worth to try on, should you suspect that the problem is somehow triggered by random network errors. You can access the Airplane Mode switch through the Control Center. To open the Control Center, just swipe up from any screen on your iPhone and then toggle the Airplane Mode switch from off to on and then switch it off again. Alternatively, you can go to Settings-> Airplane Mode, and the switch it on for at least five seconds and turn it back off afterwards. Also verify and ensure that you are calling within an area with cellular network coverage. If you are unable to connect to a cellular network on your device, try to check if cellular data is enabled. To do so, head over to Settings-> Cellular. Make sure it is turned on or activated. Step 5. Restore or reset your iPhone SE to factory defaults. This should only be considered a last resort, especially if you’ve already tried every possible solution and workarounds to deal with calling issues but only to end up having the same problem. Restoring your iPhone to its factory default settings can be a potential solution especially if the problem is triggered by major software glitches caused by improper configuration or bad updates. A reset might also be necessary if a software glitch causing the problem is tough enough to be eliminated by any of the previous solutions. However, you should take note that this process will erase your device completely. This means that you will lose all your contents and customized settings. And for this reason, creating a backup of your iPhone is highly recommended before you continue. Once you’ve have everything backed up, you may then proceed with the reset or iPhone restore. Connect your iPhone SE to a computer (Windows or Mac). You can use the supplied USB cable in connecting both devices. Make sure the computer has the latest version of iTunes installed. If necessary, enter the correct passcode for your device or click the option to Trust This Computer and then follow the onscreen prompts to complete the process. From the iTunes main screen, locate your iPhone SE from the list of available devices. Just click on your iPhone name to select it from the list. Go to the Summary section and then click the Restore button for your iPhone SE. Click Restore again to confirm action. Doing so will push iTunes to initiate the process of erasing your iPhone and then installs the latest iOS version available for your device. After the iOS installation, your iPhone will restart with factory settings. You may continue setting up your device as new. Tap the option to Erase All Content and Settings. Doing so will wipe your device and then restore its default factory settings. Step 6. Dial *#31# on your keypad. While there is no definite explanation as to how this trick is able to fix the problem with outgoing calls, other iPhone owners who tried it had claimed it works. The *#31# is listed among the hidden iPhone codes. This code is used to make an anonymous phone call to someone. To do so, you just need to add *#31# before the dialled phone number and that should initiate an anonymous call. It’s an alternative method for Show My Caller ID feature on your iPhone. It wouldn’t hurt to give it a try on your end. Step 7. Close all unnecessary apps. There are some apps that can cause issues to arise on your iPhone especially when they are kept running in the background. What usually happens when you keep multiple apps running simultaneously is that it drains your iPhone’s memory. When that happens, there is a higher chance for memory-related issues to arise including call failure. To prevent this from happening, close all unnecessary apps by double-pressing the Home button and then swipe up the app. Doing so will help save some of your iPhone internal storage space to allocate new processes. Step 8. Check and ensure date and time settings are properly configured. Toggle the switch next to Set Automatically to turn it OFF. After doing so, restart your iPhone and then try to make a call again. Step 9. Enable Caller ID settings. 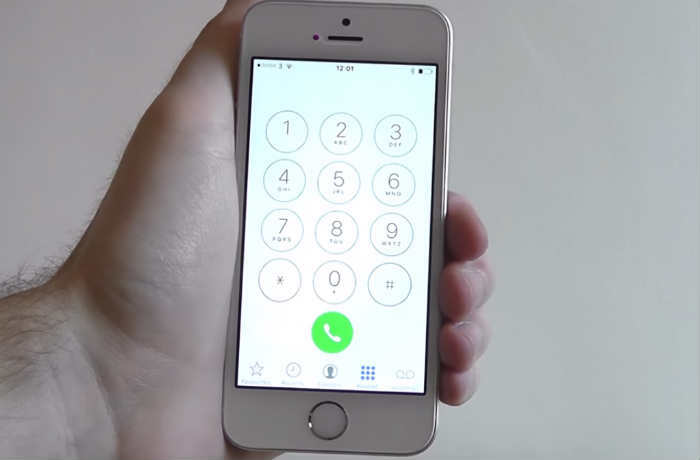 Some iPhone owners may opt to bar calls from unknown callers. This means that if you have set your device to hide your Caller ID, then your call wouldn’t go through. To rule this out from the possible culprits, try to enable the Caller ID feature on your iPhone SE by going to Settings-> Phone-> Show My Caller ID, then toggle the switch to turn it ON. Also ensure that the number you are attempting to contact is not included in your Blocked List. You may need to unblock that number and try calling it again. To check, go to Settings-> Phone-> Call Blocking & Identification and then look for the phone number in the list. If it’s not there, then it should be okay. Otherwise, unblock it to remove that number from the blocked list. Step 10. Disable LTE and use other network options available. With LTE you can take advantage of faster internet connection. But for some reasons, there are times when using the LTE feature results to certain issues to occur in mobile devices including call failed error. Having said that, you may try to disable LTE temporarily and then use other options like 3G or 4G network bands supported by your carrier. To do so, go to Settings-> Cellular-> Cellular Data Options-> and then try enabling 3G or 4G network band. After switching network bands, try to make a call and see how it works. Unable to make outgoing calls due to possible hardware damage on your iPhone SE? In some rare instances, an iPhone may not be able to make calls due to a faulty hardware. This is likely the case if there were prior instances wherein the phone was dropped or got wet. If you’ve tried every workaround and troubleshooting method recommended in this post but to no avail, then you should consider the possibility that what you are dealing with right now is probably due to hardware damage. You may contact Apple Support or your device carrier for other options, should the problem persists or you still couldn’t make outgoing calls with your iPhone SE up to this point. Otherwise, you should take your iPhone to an authorized service center nearby for hardware check and repair. My I PHONE SE goes into hold on many incoming calls and during incoming calls, could you please help rectify this problem.